This free downloadable project overview template helps business professionals present the management framework for their project in a clear, effective way. It provides the visual support required to describe how the project will be managed and monitored throughout its lifecycle so that it is easily understood by the audience. In projects with a high activity volume, information needs to be conveyed as simply as possible so that the most important aspects can be interpreted to allow efficient decisions to be made. Using the project overview template, managers can simplify large amount of data and effectively communicate the purpose, scope and objectives of a project so that all involved members work towards a common goal. 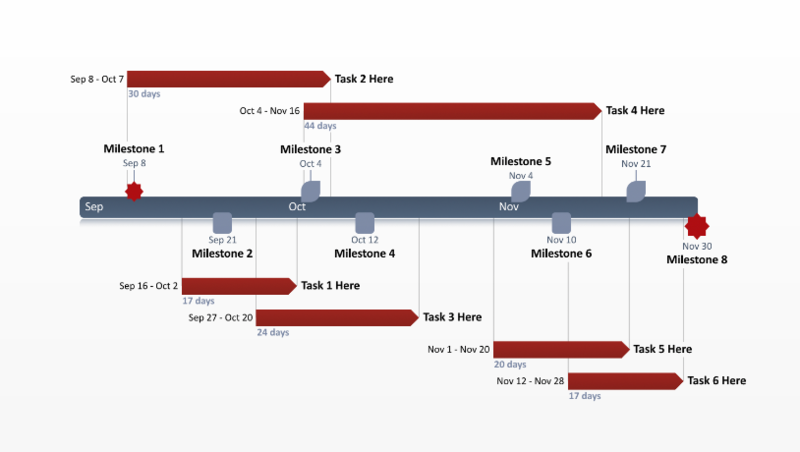 Offering a variety of colors and shapes to define milestones and tasks, the template ensures a clear structure and layout to any project presentation. Easily editable, it can be customized to fit specific requirements or updated to accommodate any occurring changes either manually in PowerPoint, or automatically using Office Timeline. 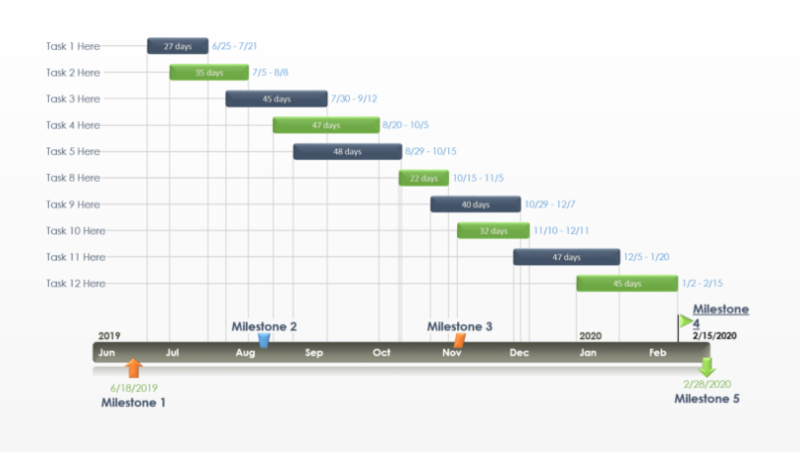 Office Timeline is a user-friendly PowerPoint plugin that enables project management professionals to quickly create impressive visuals describing the approach that will be employed to manage the project. 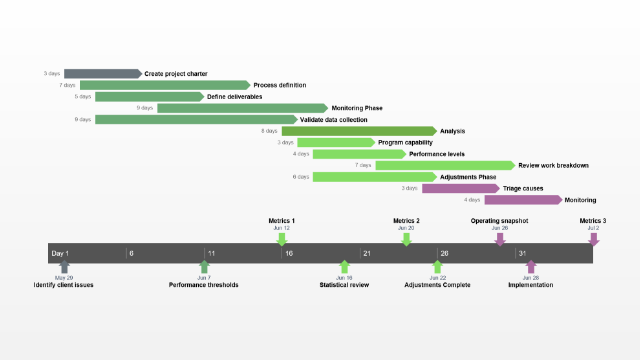 For more complex project overviews that include subsidiary plans and overlapping stages, they can use Office Timeline Plus to group tasks into categories or subdivide major events into phases. Able to import data from platforms like Microsoft Project, Excel, Wrike or Smartsheet and turn it into a neat timeline, the full application saves professionals even more time and effort in creating or updating a project overview presentation. Successful project overviews give managers, team members and stakeholders an instant summary of the project’s core components, processes and deliverables. 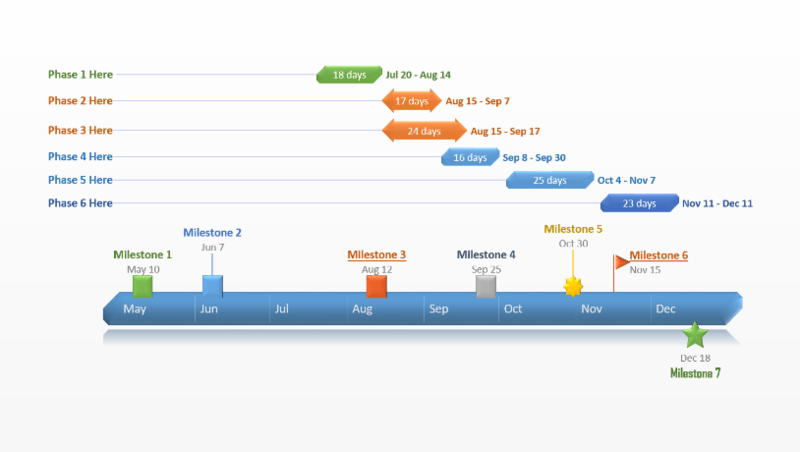 Office Timeline facilitates the communication of all these aspects between project participants through impactful visuals like this template. 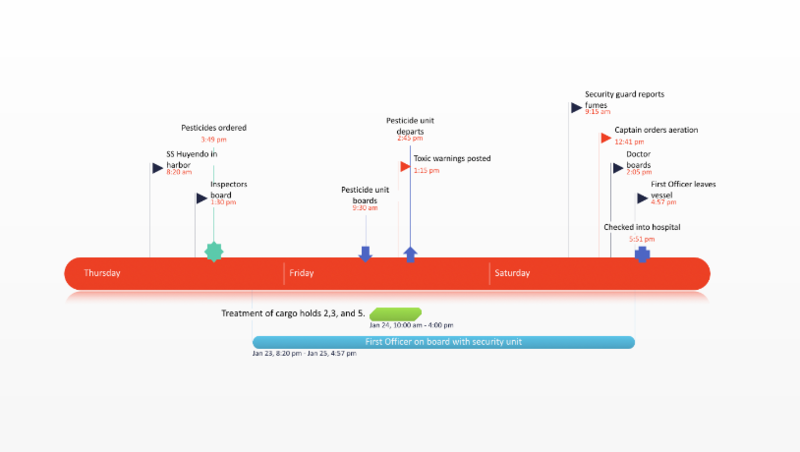 The project overview template enables the audience to understand the status and progress of the project, view activity details directly and easily from an overall perspective, and gain the bases for effective decision-making. Once created, it can be updated, customized further and reused for future projects, which takes the hassle out of having to build a new project overview from scratch.